Cherie Calbom, MS, is the author of The Juice Lady’s Turbo Diet and Juicing for Life, which has nearly two million books in print in the United States. Known as “The Juice Lady” for her work with juicing and health, her juice therapy and cleansing programs have been popular for more than a decade. Cherie has worked as a clinical nutritionist and has a master’s degree in nutrition from Bastyr University. Welcome to the Living Foods Revolution! Research shows that live foods contain biophotons, which carry light energy into our bodies and help our cells communicate with each other. Cooking food kills these and leaves the body craving the energy and nutrients it needs to function at a healthy, vibrant level. · Become healthier and happier for life! Eat food you love that loves you back… and you will find the love of your life! Living foods. They’re foods that are alive—raw (not cooked) and filled with life. They’re also called raw foods or live foods. You can plant them, pick them, sprout them, or simply eat them. In each case—you get life! That’s because life comes from life. These foods are your “true north,” your path home to health in a jungle of dietary havoc, contaminated food, and abounding confusion about what and how to eat. What constitutes human nourishment that blesses us with abundant health? Is it the antibiotic-laden, growth-hormone-laced flesh of stressed-out factory-farm animals? How about pasteurized milk products with their denatured protein and damaged fats? Is it cooked or processed vegetables saturated with pesticides and preservatives? Maybe it’s designer foods with “good health promises.” Perhaps it’s the long line of prescription pills coming out of the thunderous jaws of manufacturing plants. My dear friends, we’ve been duped—completely led astray—by marketing campaigns. Good health is the result of consuming whole, unprocessed, clean food with a large percentage of that being raw and alive. These foods are chock-full of nutrients, water, and fiber that flush away toxins, waste, and “sludge” from our cells and intercellular fluids. They help us prevent disease. They alkalize our body and help us restore our pH balance. And they give our cells vital light rays of energy to help them communicate more effectively. How did we lose our way—from pure, whole food to processed, packaged, chemically sprayed industrialized fare—in such a short period of time, considering that for millions of years we ate whole and mostly living foods? A stroll down memory lane reveals that ramped-up marketing campaigns, clever slogans, and interesting commercials hooked a nation more than half a century ago on money-making products that changed America’s thinking about food—forever. When the war ended, tropical oils were vilified so that the vegetable oil companies could retain their market share. Was this refined oil our answer to curing the increase in heart disease that followed the war? Research since then has exposed quite the opposite: consumption of those oils is one of the culprits behind heart disease. We now know that oils made from polyunsaturated fatty acids (PUFAs), such as corn, soy, safflower, and sunflower oil, actually contribute to heart disease because they oxidize easily and can cause plaque buildup in the arteries. It is insightful to note that the Wynn Institute for Metabolic Research in London studied people who died from heart disease and found that the fats responsible for clogging the arteries of these people were 26 percent saturated fat and 74 percent PUFAs. Rather than implicate saturated fats, they more accurately pointed to PUFAs—the fats found in polyunsaturated vegetable oils—as the primary suppliers to aortic plaque formation. This research group suggested that people avoid these oils completely. Cooking oils weren’t the only thing to change during this time. Carbonated beverages were also first marketed to the American public shortly after World War II, and by the early 1960s dozens of companies like Coca-Cola were competing for shelf space for their diet and sugar-filled sodas. Marketers promoted their way into our homes with jingles such as, “Zing! Coca-Cola gives you that refreshing new feeling!” Their message? To be part of the hip new generation of young people, you must drink Coke. Chemical sugars such as calcium cyclamate, saccharin, and aspartame replaced white sugar in diet soda with the promise of weight loss. Diet sodas were promoted to diabetics as sugar-free options to popular sugar-packed sodas. But wait. Do diet sodas really help us prevent weight gain or diabetes? Their promises fall short. The San Antonio Heart Study—a twenty-five-year community-based study carried out at the University of Texas Health Science Center at San Antonio—found the exact opposite to be true. Their research showed that the more diet sodas a person drinks, the greater their chance of becoming overweight or obese. Added weight is a strong risk factor for the development of type 2 diabetes. Sharon Fowler, a faculty associate for the San Antonio Heart Study, put it this way: “On average, for each diet soft drink participants drank per day, they were 65 percent more likely to become overweight during the next seven to eight years, and 41 percent more likely to become obese.”3 On top of creating the opposite effect for weight loss and diabetes, these drinks are full of unhealthy chemicals so potent that they can rust nails. The 1950s also saw the emergence of another new phenomenon in American eating habits: fast food. In 1955 Ray Kroc opened his first McDonald’s franchise in suburban Chicago. His advertising slogan—“The All American Meal.” It was a fifteen-cent hamburger (four cents extra for cheese), ten-cent fries, and a twenty-cent milk shake. This cheap, kid-friendly combo was served to families as a speedy, twenty-five-second meal-to-go. But was it the “all American” answer for something quick to eat? White boneless chicken, water, food starch-modified, salt, seasoning [yeast extract, salt, wheat starch, natural flavoring (botanical source), safflower oil, dextrose, citric acid], sodium phosphate, natural flavor (botanical source). Battered and breaded with: water, enriched flour (bleached wheat flour, niacin, reduced iron, thiamin mononitrate, riboflavin, folic acid), yellow corn flour, bleached wheat flour, food starch-modified, salt, leavening (baking soda, sodium acid pyrophosphate, sodium aluminum phosphate, monocalcium phosphate, calcium lactate), spices, wheat starch, dextrose, corn starch. Prepared in vegetable oil (Canola oil, corn oil, soybean oil, hydrogenated soybean oil with TBHQ and citric acid added to preserve freshness). Dimethylpolysiloxane added as an antifoaming agent. A third change in the way Americans eat also came about during the postwar era: prepackaged breakfast cereals. Tony the Tiger made his debut in the 1950s and became an instant hit as the face and voice of Kellogg’s Frosted Flakes. In 1957 a popular breakfast cereal ad read, “Wheaties may help you live longer.” And Cap’n Crunch and his crew generated mega-sales for Quaker Oats’ popular cereals. Billions of boxes of dry cereal have been sold since such ads danced, sang, and talked their way into our lives. Children as well as adults— even many who are health conscious—eat boxed cereals thinking that they are healthy choices. But let’s consider some facts. These cereals are manufactured by means of a process called extrusion. First, a liquid mixture called a slurry is created with the grains. Then it’s put in an extruder—a machine that forces the slurry out of a little hole at high pressure and temperature. The shape of the hole turns the mixture into the various cereal shapes we’re all familiar with: little o’s, flakes, animals, shreds, or puffs. Paul Stitt delves into the extrusion process in his book Fighting the Food Giants, explaining that this process destroys most of the nutrients in the grains, such as the fatty acids and even the synthetic vitamins added at the end. However, according to Stitt, the worst part is that extrusion turns the amino acids into toxic matter. The amino acid lysine is especially denatured during extrusion. Stitt also points out that this is how all boxed cereals are manufactured, even the ones sold in health food stores. One of the most alarming aspects of extrusion that Stitt warns about is that whole-grain extruded cereals are probably more dangerous than cereals that are not made from whole grains. Why? Because whole grains are higher in protein, and it is the proteins in these cereals that are the most compromised by this process. You may remember this line: “Wonder bread helps build strong bodies eight ways.” (Later it became twelve ways.) In my opinion, the ad should have read, “Wonder Bread helps tear down bodies eight ways.” Wonder Bread and other smooth white breads get their soft texture from refined wheat flour. Refined wheat flour has had the natural fiber removed from it because whole grains go rancid rather quickly due to the high oil content in the bran. Refining makes bread that has an extended shelf life, but it no longer gives us much nutrition. And the breads have gotten fluffier and fluffier through the years with hybrid grains that have more and more gluten, created specifically for this purpose. (This is one reason so many people are gluten intolerant today.) These high-starch grains that are made into fluffy breads along with other refined flour products like pasta and pizza crust are targeted as one of the primary contributors, along with sugar, to obesity, diabetes, and heart disease. Unfortunately, there’s more from the 1950s to add to our list of unhealthy eating habits. It was 1954 when Swanson introduced the first TV dinner in an aluminum tray—turkey, cornbread stuffing, gravy, sweet potatoes, and peas. The American family moved from the dinner table to trays in front of the television and started watching TV families interact rather than talking with their own family members while they ate. It permanently changed the way Americans ate. American families lost the treasure of eating, laughing, sharing the day’s events, and praying with the family. We also lost real, whole food made with human hands. The TV dinner marketing slogans were all about convenience and ease. American women were encouraged to buy the dinners so they could: “Have dinner ready. Prepare yourself. Touch up your makeup. Put a ribbon in your hair.”9 More than 10 million TV dinners were sold in the first year. Is the ease and convenience of frozen and packaged meals worth it? Many people now consider such meals very unhealthy—too much sodium, monosodium glutamate (MSG), additives, unhealthy fats, not enough vegetables, and no live food, along with aluminum that contributed to heavy metal toxicity (today it’s plastic toxicity). If it hadn’t been for Julia Child, we may have ended up in worse shape than we are today. Julia persuaded American women to go back to the kitchen and prepare real food. In 1960 we saw the introduction of “miracle seeds”—improved varieties of wheat, corn, and rice, which dramatically increased the crop yields of American farmers. Through the use of pesticides, irrigation, and genetic engineering, these miracle seeds doubled or tripled harvests on the same size plots as previous harvests. The seeds and growing practices quickly spread to farmers in other countries with the hope that they would help end world hunger. This dramatic increase in crop production was called the “Green Revolution.” It was a revolution without a doubt, but far from green— which has come to mean buying organic, purchasing foods locally, and promoting sustainable farming and animal husbandry (compassionate care for domestic animals). The hybrid seeds and genetically engineered crops gave us wheat with more gluten so manufacturers could make fluffier bread as I just mentioned, which caused allergies and gastrointestinal problems like Crohn’s disease, colitis, and irritable bowl syndrome. Pesticides killed bugs, but it also killed songbirds; it’s wiping out our bee population, and it’s contributing to cancer and other diseases in humans. In the end, it has killed many of us. (Studies show there is an increased incidence of cancer among farmers, indicating the impact that pesticides have on the human body.11) And we must ask ourselves why birds and fish are mysteriously dying by the thousands. Are they the “canaries in the coal mine”? Are we next? Then along came “designer foods” concocted by food scientists, promising specific health benefits, belched out by big factories, but most often devoid of life-promoting ingredients. They led us astray with their “good health promises” that didn’t deliver what they said. As a whole, people are sicker than ever before in history. Well, this ends our stroll down memory lane. As you can see, we can’t trust the jingles, commercials, and marketing ads. They gave us slogans like “Reach for a Lucky instead of a sweet!” And, “More doctors smoke Camels.” Here’s the truth: we’ve been the human guinea pigs for decades. We continue to learn, often too late, that many popular products have made us sick, caused deaths, and took our money to boot! Do you want these people guiding your food choices? There’s a little voice inside calling you home—away from the clamor and spin of the big companies with clever marketing slogans and foods designed to hook you to crave more unhealthy stuff—to the simple goodness of the earth, free of chemicals, genetic tampering, and the fluff that’s killing you. The voice is calling you to compassionate eating, sustainability, and supporting local organic farmers. It’s time to rethink your perception of food and to discover that you are not too busy to make the time to prepare whole, living foods. You’re too busy not to. It’s time for a revolution in the way you eat and the way you think about food. If you return to nature’s living bounty, you can heal your body and mind along with the earth. Donna Experienced Positive Results in Four Days! I experienced immediate results physically and mentally in just four days with Cherie’s diet. The first day I replaced my morning cup of coffee with white tea and a glass of The Morning Energizer juice. The flavors are amazing. I noticed my normal raging hunger and nausea from coffee on an empty stomach disappeared. I felt a little hungry later, but it was a much different and a very mild feeling. After the first day, I no longer had to take antacids daily and my stomach stopped bloating. I slept more peacefully than I have in a long time. I’m feeling more energy and am calmer than I can remember. When I went grocery shopping, I viewed rows of processed foods, coffees, creamers, cheeses, cookies, cakes, ice creams, and chips. The normal diet choices looked empty and terrible to me. I am simply thrilled with the new me, and I will never return to the diet that was quietly creating illness in me. Thank you with all my heart. Dreams have often been my teacher. A few months ago I had an insightful sequence of images while sleeping. In the dream, I was in a room with a number of birds that had the freedom to fly and perch where they wished. I noticed they were all getting sick. So the first thing I checked was their food and water bowls. There was the culprit. The water was not clean, and their food bowls were full of only hulls—the life-giving nourishment had been removed from the seeds. I then saw a large bird make its way to a food bowl. It was weak and sick, and most of its feathers were gone. As soon as it started eating, a big bird flew in and began pecking on its back, drilling a hole in its flesh. I was horrified and tried to beat off the bird of prey with some papers in my hand. It was to no avail. I woke up— deeply disturbed. I knew this dream was significant; it portrayed the state of affairs for many people in our nation. Americans eat food with little or no nourishment—burgers, fries, hot dogs, sodas, doughnuts, milk shakes, pizza, pasta, packaged foods, fluffy bread sandwiches, low-fat products, and frozen dinners. This food is less nourishing than the birds’ hulls in my dream. Then we get sick. We go to the doctor and complain about our ailments. Rarely does anyone ask us what we are eating and drinking. And would it matter? Many of the doctors and nurses seeing us are eating the same things. We go for early-detection tests for various diseases and call that prevention. (What about learning about the lifestyle that helps us to not get sick in the first place? That is true prevention.) When we complain about an ailment, rather than getting to the root cause, we’re given prescription drugs that often cause different symptoms, for which we’re given additional prescription drugs. Eventually we get so weak and sick that we, like the sick bird in my dream, have holes drilled in our flesh through surgeries and procedures. To top if off, some of our prescription drugs are found to cause serious problems and even death. Lawyers file lawsuits against the drug companies that manufactured those drugs and win big settlements; most of the money goes to the attorneys. Those drugs are taken off the market and new ones replace them. I looked with interest at the dream scene where I was trying to beat off the bird of prey with papers. I believe the papers represent my books. I keep writing to expose lies and herald truth. For those who never read my books, my message is to no avail, and the “birds of prey” in our society continue to victimize the weak and sick people and make them weaker, sicker, and more dependent on prescription drugs. But you’re different. You bought this book and are learning truth. For those who have listened and acted in the past, their lives have been changed. I get e-mails and calls continually telling me wonderful stories of healing and hope regarding weight loss and health improvements—this represents thousands of people. I want to share with you the great news! I have lost 11 pounds since starting the coconut-juicing plan three weeks ago. I am off the coffee and sugar addiction cycle and making new discoveries. I feel so good and healthy. My body and skin agree with the recipes. My mental focus is improving, and the dark circles under my eyes are disappearing! I have a good balance of natural energy and cannot believe the blessings in life that I am experiencing each day. I am beyond happy with my new habits and look forward to many more articles, books, classes, and your next adventures. Thank you so much for sharing. 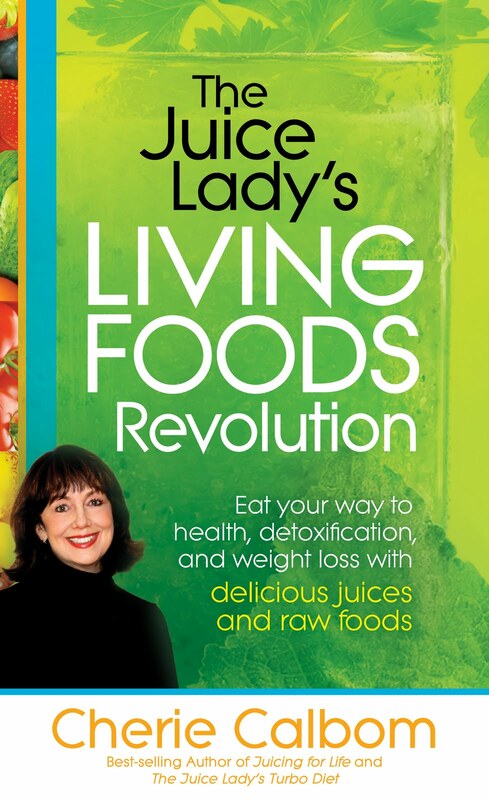 The Juice Lady’s Living Foods Revolution is a book based on a lifestyle program I created that involves juicing every day and eating a large percentage of your food while it is still “living,” which means uncooked and unprocessed plant foods. These living foods “love you back” by giving you a plethora of life-giving nutrients. That equates to higher energy levels, weight loss, detoxification, mental clarity, increased vitality, and inner peace. But unlike most raw food programs, the Juice Lady’s living foods lifestyle program doesn’t toss out all cooked food. You can even include a few organic, pastured animal products if you wish. This lifestyle is about choosing pure, whole foods with an abundance of that fare being live—raw, juiced, blended, gently warmed, and dehydrated. Raw green vegetables are emphasized because they have served as the basis of nearly all life on this planet. They’re key to our life. I’ve known this for a long time, but I couldn’t get enough of them into my diet to really make a big difference—until I started juicing about a quart a day that included lots of greens. I rotated a wide variety of greens such as Swiss chard, collards, curly kale, black dino kale, kohlrabi leaves, dandelion greens, romaine lettuce, parsley, and spinach, combined with cucumber, celery, lemon, and a carrot or two. Juicing this wide variety of produce gives us a powerhouse of vitamins, minerals, enzymes, phytonutrients, and biophotons. These foods help to lower estrogen in a woman’s body and decrease the chance of contracting breast cancer—something I’ve always been concerned about since my mother died of breast cancer when I was six years old. Raw foods, which are rich in antioxidants, also help the body remove toxins, thus helping to keep us from getting ill. Since the beginning of human life, mankind has eaten mostly raw, living foods in season. It is only in recent decades that we have begun eating highly cooked and processed stuff. When we look at other cultures whose people have continued eating their traditional diets, we do not see any significant incidence of diseases such as cancer, heart disease, stroke, diabetes, and morbid obesity that have become pervasive in Western society. While riding my bicycle to work on July 2, 2001, I was hit by a car. And even though I was wearing a helmet, I sustained a traumatic brain injury. I went through extensive therapies of various kinds, and while they all worked together to make me into the person I am now, [I believe] it is the organic, raw vegan cuisine and transformational super foods that have created and maintained the most healing I have experienced thus far. I have been raw a bit over four years now. Recently, alone at the beach by a fire pit with a box full of papers and memorabilia, I had the funeral for the old me. I left the beach with an empty container and a clean slate to create the life that is calling me. In our super-sized society where cooked and processed food is served in abundance, living food is a wise choice because it’s hard to overeat raw foods. Fresh vegetable juice is amazing in that it offers us many nutrients that are so satisfying that most people lose their cravings. There are some great benefits of a living foods lifestyle if you’re trying to drop a few pounds. Many people say they don’t get hungry for quite a while after they drink freshly made vegetable juices. A living foods diet may help you lose weight more quickly, and it can help stabilize your weight once you arrive at your desired goal so that you don’t end up gaining it all back. So, even if you consume the average three thousand plus calories per day, chances are you’ll just naturally consume fewer calories when you juice because you won’t be as hungry. And you can lose weight more quickly and keep those unwanted pounds off with the living foods lifestyle. But the best part is that many people report that weight loss is just secondary to all the other incredible health benefits they experience. Living foods provide your body with high-energy fuel, so you don’t become fatigued throughout the day. Even if you eat a hearty-sized meal of living foods, you won’t feel like you need a nap afterward. Further, many people have found that having a glass of fresh veggie juice midmorning or midafternoon is an excellent pick-me-up to keep them mentally alert and energized for hours. A diet that is made up of 60 to 80 percent raw foods is a live foods diet, because the majority of the foods are eaten in their natural state. Living foods are high in enzymes, which are important to the body because they help in converting vitamins and minerals to energy. Indeed, enzymes are needed for every chemical reaction that takes place in the body. No mineral, vitamin, or hormone can do its work without enzymes. Plant food enzymes work in the digestive system where they predigest foods and thus spare the pancreas and other digestive organs from having to work so hard to produce excess enzymes. Eating living foods, especially vegetables, sprouts, wild greens, fruits, nuts, and seeds, is the healthiest for the human body. Truly they can transform you from the inside out. A Wonderful Journey of Restoring Health! Your book is helping me start a wonderful journey of restoring health and stability. I am becoming more familiar with what is beneficial for my body and important foods that are high in alkalinity. What if certain diet modifications could increase your chance of living a healthy, youthful life—free from drugs and surgery—well into your eighties, nineties, and possibly beyond? Would it be worth trying? By switching to a living foods diet, many people have helped their bodies heal from life-threatening diseases such as cancer, heart disease, and diabetes. And many people have reversed the aging process and become trim and fit. Consuming plenty of raw foods re-creates your body inside out. It transforms even your face. Do you want a natural facelift? Eat lots of living foods (and take vitamin C). These are the keys to rejuvenated skin, supporting collagen, and your passport to vibrant health and high-level wellness! They assist your body right down to the DNA with the raw materials that fuel your cells. Lively cells construct a lively body. Healthy cells create vibrant health. They’ll help you live your life to your full potential. Most Americans live a suboptimal existence—mediocre health, low energy, depression, lack of joy, poor memory, poor sleep, and a variety of aches, pains, and ailments. Good health and joyous living are your birthright. You can move toward this quality of life every day if you choose the right lifestyle. Starting today, you can transition to the living foods lifestyle so you can live the abundant life. As I mentioned before, aim for 60 to 80 percent of your food raw, but even if you just make half of your diet raw, you’ve made a great improvement. Most live food programs are all or nothing. I’ve talked with many people who say, “I can’t go ‘all raw’ with my lifestyle.” So they forget the whole thing. But when you know that you can have some leeway, it’s encouraging to take steps, even baby steps, toward a healthy living foods lifestyle. Here’s how a “living foods day” might look: Drink two 12- to 16-ounce glasses of raw vegetable juice, or make one glass of juice and have a green smoothie, preferably one in the morning to get you energized and one in the afternoon to keep you going. Eat one or two large salads or servings of raw veggies or a raw energy soup. You could choose a piece of low-sugar raw fruit or some raw veggies for a snack. To that you can add about a quarter of your food cooked. If you have an illness or disease, then it is recommended that a larger percentage of your food should be raw (juiced or blended if you have significant digestive issues) and that you occasionally spend a day or two just drinking fresh vegetable juice (juice fasting) to help detoxify your system. Have you noticed that when you have a day where you eat mostly cooked foods, with very little live food, you want to eat more and more? I experienced that recently. I was served mostly cooked foods at two different events in one day—all whole foods, but about 90 percent of it cooked. At the end of the day I was still hungry. It was 9:00 p.m., and I wanted something else to eat. My body was craving live foods. A little glass of juice did the trick—the urge inside was gone. This is where fresh vegetable juice is so amazing. It’s very satisfying. When you feast on raw juices, you can experience the single most effective short-term antidote to cravings, fatigue, and stress available. Many people call or e-mail to say they feel so much better since they have started on the Juice Lady’s living foods lifestyle. I recently received a call from a woman who said those exact words. She has noticed a tremendous amount of energy since starting the living foods and juice program a week before. Prior to that, there were times when she didn’t even want to leave the house for days because she was so fatigued. Now she feels like getting out and doing things all the time. Voilà! You start feeling better, lighter, and more energized as time goes on. Your sleep improves, and you may need less of it. Your mind becomes more alert and creative. No longer will you find yourself in a disorganized fog because biophotons help your mind and body to come alive. You will experience more mental energy, and your creativity improves as well because of the electrical stimulation of the biophotons. (Could this be the boot for dementia or early Alzheimer’s disease?) Your metabolism also ramps up, and you burn more calories helping you get fit with greater ease. And in the process, your overall health improves. Symptoms of poor health, ailments, and chronic diseases begin to heal. Your whole life changes! My husband is a medical doctor. I was an artist. We are very active in our faith and for years participated in foreign missions. We have been everywhere—from the slums of Mexico to the war-torn Congo. Being physically fit and active was and is necessary for such trips. I would carry about 30 pounds on my back and walk five hours into Ecuador’s Amazon rain forest to deliver school supplies to remote villages. I had to be able to handle the weight, heat, and terrain. While in the Congo, even after taking all the precautions and shots, I was bitten by a bug, and my health was never the same. At first my husband thought I had malaria. Then I lost the use of my hands. Being a sculptor, that was devastating. I saw many doctors and spent thousands of dollars on tests. My symptoms escalated. I was tested for multiple sclerosis, Lyme disease, and many, many other things. During this time I lived either on the sofa or in my bed. Actually, I was not living. I was simply existing. Just the simple act of walking was extremely painful. My internist deducted that I had toxic levels of mercury (from old tooth fillings) and lead (from sculpting clay), chronic fatigue syndrome, fibromyalgia, food allergies, and a liver that wasn’t functioning efficiently. I took twenty-five pills per day. I endured IV chelation, colonics, and all sorts of painful and debilitating treatments without lasting improvement. I started seeking specialists in other states. One specialist said I had Candida albicans and multiple allergies. He recommended shots twice a week. Monthly I drove eight hours to see him. After that year, I could see no improvement but was suffering from adverse reactions to the medications. In talking with him about it, he told me I had to endure the reactions to gain the benefits. But I didn’t see any benefits, so I stopped the shots. I still wanted my life back. I started driving twelve hours one way to see a specialist who reported that my body still was not absorbing nutrients. I did the Master Cleanse and all sorts of other cleanses. I started eating organically. I was able to function and my pain subsided somewhat, but I remained hungry all the time. Recently, a friend heard Cherie speak, and she recommended her juice book [The Juice Lady’s Turbo Diet]. Since getting her book, I’ve been juicing about two weeks, and it has already made a tremendous difference in my health. My pain has decreased. My brain is not as foggy. I don’t need as much sleep. And my skin has improved. Juicing has helped me more than anything I’ve tried. Thank you for helping me to live again! • Alkalinity. Most Americans are slightly acidic because most of the American diet (animal products, grains, sugar and sweets of all kinds, coffee, black tea, sodas, sports drinks, and junk food) is acidic or turns acidic when it’s digested. This causes a host of problems from weight gain to joint pain. The body tends to store acid in fat cells to protect delicate organs and tissues. It will hold on to fat cells, even make more fat cells, to protect you. But a living foods diet, which is dominated with fresh vegetables, vegetable juices, sprouts, seeds, and nuts, provides an abundance of alkalinity. This neutralizes the acids, and the body can let go of fat cells. Many people report that their body also got rid of pain—all sorts of pain throughout the body—when they began eating a living foods diet. • Hydration. One of the things lost when you cook food is the water content. Our bodies are about 70 percent water. Live foods contain lots of water. Approximately 85 percent of many fruits and vegetables is water, so eating raw fresh produce is a wonderful way to obtain water. Plenty of water in our system equates to enzymes being able carry out their metabolic work, and the easier it is for vitamins and minerals to be assimilated into our cells. The more live energy the water holds in the form of biophotons, the better the individual cells function and the higher the quality of your health. • Superior protein. Though not a complete protein, raw plants offer quality amino acids. Cooking denatures the proteins in our food—they coagulate, making them difficult to assimilate. The heat disorganizes their structure, leading to deficiencies of some of the essential amino acids, whereas eating live foods offers amino acids in their best state. • Abundant vitamins. Many vitamins are destroyed when food is cooked or processed. • Biophotons. Plants release biophotons, which can only be measured by special equipment developed by German researchers.14 These light rays of energy that plants take in from the sun energize our bodies and help our cells communicate more efficiently. Heat and processing destroy them. • Greater strength, energy, and stamina. Dr. Karl Elmer experimented with a raw food diet for top athletes in Germany. He saw improvement in their performance when they changed to an entirely raw food diet.15 After eating raw food, rather than feeling fatigued or sleepy, most people feel energized. Also, most people eating a high raw food diet experience a more restful sleep and require less of it. • Better mental performance. Your memory and concentration should be clearer. You should be more alert, more creative, and think more logically. • More enzymes—improved digestion. Enzymes are important because they are the catalysts of nearly every chemical reaction in our bodies. Vitamins and hormones need enzymes to do optimal work. Live foods contain a good mix of enzymes, called food enzymes. But when food is heated above 105 degrees, enzymes are destroyed, which forces our digestive system to work harder than it should. This can result in partially digested fats, proteins, and starches. • Reduced risk of disease. A diet rich in raw vegetables and fruit has been shown to lower your risk of cancer and other diseases. Also, according to a study published in the British Medical Journal, eating fresh produce on a daily basis has been shown to reduce your chance of death from heart attacks and related problems by as much as 24 percent. When we eat live foods, our entire bio-terrain operates in peak performance. Biological terrain is the system of a cell plus the surrounding environment. It’s comprised of fluids, vitamins, minerals, trace elements, enzymes, waste, and microorganisms. When our internal environment becomes overloaded with toxins, waste, and pathogens like fungi, molds, viruses, or bacteria, when it is deficient in essential nutrients or is too acidic or too alkaline, our cells’ vitality is diminished and our immune system is overworked. Then we become susceptible to fatigue, ailments, and diseases. Raw foods and juices cleanse the body of stored wastes and toxins, which interfere with the proper functioning of the cells and organs. They provide an abundance of vitamins, minerals, enzymes, phytonutrients, biophotons, and antioxidants that increase the micro-electric potential of each cell. This improves the body’s use of oxygen so the muscles and brain are energized. A healthy, vibrant bio-terrain is fundamental to optimal health. This allows our cells, organs, and systems the best chance to do the jobs they were designed to do. A living foods lifestyle can help you achieve this vibrant interior. With a healthy biochemistry, our bodies can deal with stress and challenges far more effectively. It is only when we put congesting, nutrient-depleted, toxic food into our bodies that we tear them down and promote disease. A living foods diet leads to healing and vibrant health. Secretariat, also known as Big Red, was one of America’s heroes and a racing legend—winner of the Triple Crown. He set new race records in two of the three events in the series—the Kentucky Derby and the Belmont Stakes. They still stand today. He ran for the shear pleasure of running. But he lost the Wood Memorial. No one had noticed the abscess in Big Red’s mouth, which may have kept him from running to his full potential and from his stunning future. What about you? Is there a physical condition that’s keeping you from being your best or living your full potential? There was for me. Chronic fatigue syndrome and fibromyalgia had me sidelined—as you know if you read the introduction. Had I not found the juicing program that changed my life, I would not be writing my eighteenth book, presenting numerous classes and workshops, appearing on scores of television and radio shows, and accepting speaking engagements around the country for numerous groups and organizations. Do you ever feel like you’re just going through the motions of life, existing rather than living out your dreams and purpose? That can change. You can be so supercharged with health that you live a life of joy and have clarity of mind, and peace of soul. When you care for your body well with the kind of diet recommended in my The Juice Lady’s Living Foods Revolution, you will have emotional stability and a stronger immune system. You’ll be able to deal with stress better than ever before because your nerves won’t be on edge with caffeine and sugar. And your willpower will strengthen—a weak body often equates to a weak will. It may seem too simplistic—that what you eat could have such a profound impact on your health. Owners of thoroughbred racehorses know the importance of a superior diet—good hay and quality grains including oats, mineral salts, and vitamins. You wouldn’t catch a racehorse owner giving a horse even one little “treat” of bad food, if they’re smart. We’re not that different from racehorses. If we want to win the races of our lives, we need a great diet—one that provides quality and energy, one that will take us to the end of our course. Unknowingly, many Americans put the “wrong fuel” in their bodies over and over again. It’s amazing that they can keep going as long as they do. It would be a blessing if it only cost people who “break down” $6,000 to repair the damages. 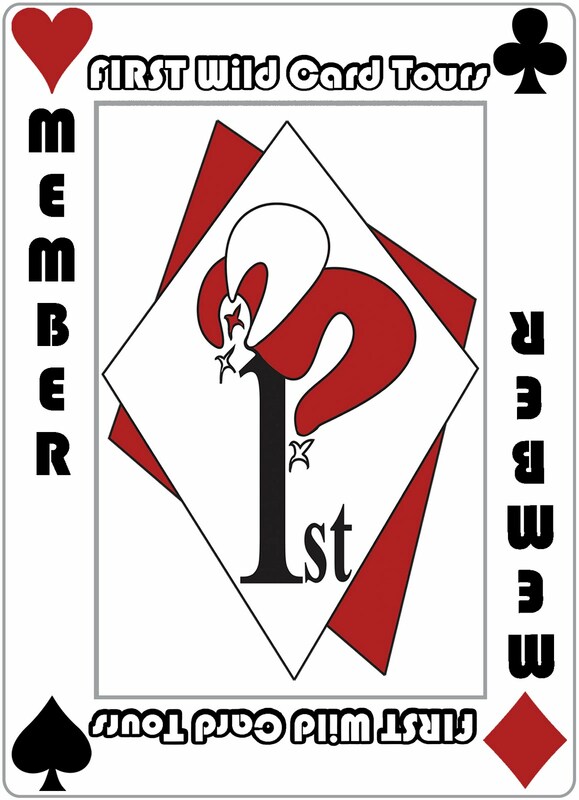 Remember, every journey begins with the first step. It takes more than a couple of weeks to see a profound difference, although many people report significant improvements in just a few days. Give the living foods lifestyle six months at least and then evaluate. If you haven’t noticed profound changes, then you’re the first one I’ve encountered to say that. You should be feeling so much better that you’ll never want to go back to your old lifestyle. And you can be on your way to living your potential to the fullest.